How Do Criterion-Referenced Tests Help Students? How Do Criterion-Referenced Tests Help Special Needs Students? What are criterion-referenced tests? You won't often hear about these assessments in schools, even though they are used daily by teachers in both special education and mainstream education classrooms. Unlike standardized tests, criterion-referenced tests assess specific skills students learn about in class. Read about these tests and how they can serve students with learning disabilities in particular with this review. What Do Criterion-Referenced Tests Measure? Teachers use criterion-referenced tests to determine which specific concepts, such as parts of speech or adding fractions, a child has learned in class. Some tests are commercially produced and sold as part of a curriculum. The Brigance system is an example. Other teachers develop specific tests to complement their unique lesson plans. Because criterion-referenced tests measure specific skills and concepts, they tend to be lengthy. Typically, they are designed with 100 total points possible. Students earn points for each item completed correctly. The students' scores are generally expressed as a percentage. Criterion-referenced tests are the most common type of test teachers use in daily classroom work. So, while parents and students may not hear the term "criterion-referenced test" often, they're certainly familiar with this popular form of assessment. Most assessments administered in schools are criterion-referenced. Teachers create these tests based on the school's curriculum and learning expectations in a given subject area. In addition to providing scores to measure progress, these test results give specific information on skills and sub-skills the student understands. They also provide information on the skills the student has not mastered. 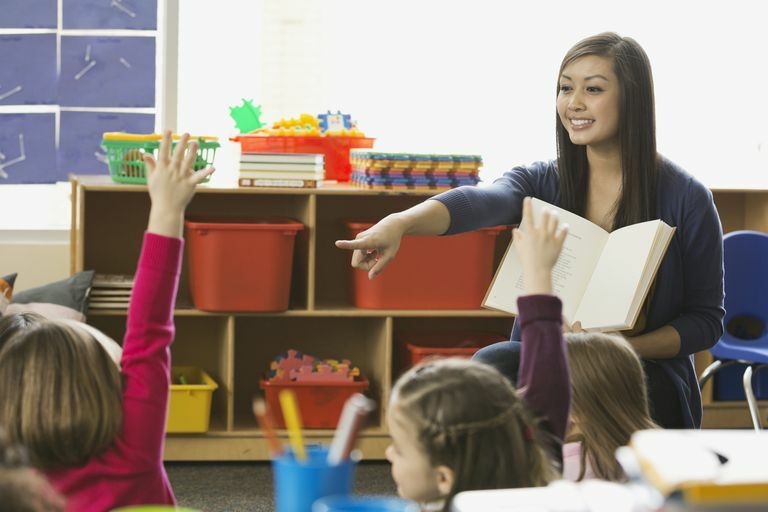 Both types of information are useful in determining what type of specially designed instruction the student needs and what the instruction should cover. Educators use these tests to evaluate the effectiveness of teaching programs, to determine students' mastery of concepts and skills and to measure progress toward IEP goals and objectives. These tests, whether designed by teachers or commercially produced, may reveal if a student has a learning disability that school officials haven't diagnosed. On the other hand, the tests can reveal how students are managing known learning disabilities. Do they continue to struggle in specific areas or have they made progress? Perhaps their performance has remained static. A criterion-referenced test can give teachers an idea of how a student is advancing in class. Results from a series of such tests can be used to help students with learning disabilities set goals both on and off their IEP. While criterion-referenced tests may reveal how well students have mastered certain concepts, they alone don't tell the whole picture about what a student has learned in class. Student work, projects, essays, and even participation in class discussions, can give parents and teachers a comprehensive look at a student's performance. After all, many students, especially those with learning disabilities and special needs, don't perform well on tests of any sort. If your child's performance on criterion-referenced tests is underwhelming, speak with her teacher about how she's doing in all aspects of the class. Measure your child's academic progress using a three-dimensional critique.